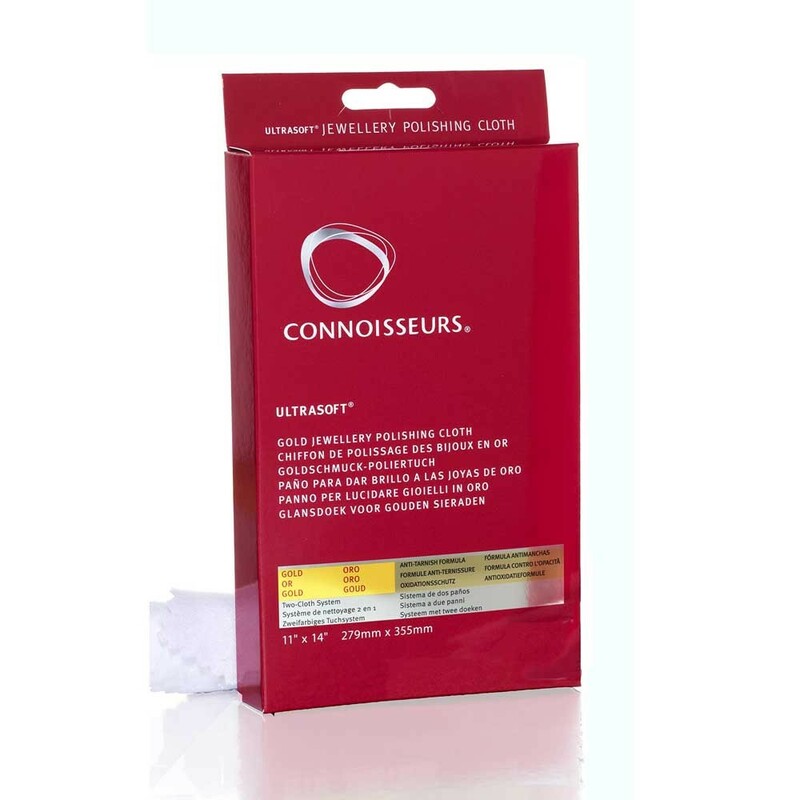 Connoisseurs UltraSoft Gold Jewellery Polishing Cloth is a convenient Two-Cloth Dry-Cleaning System for cleaning and polishing jewellery and watches. 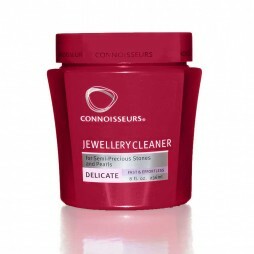 It removes and helps prevent tarnish. 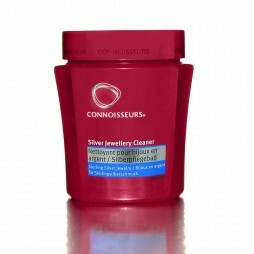 The inner lighter cloth cleans and the outer lighter cloth polishes. 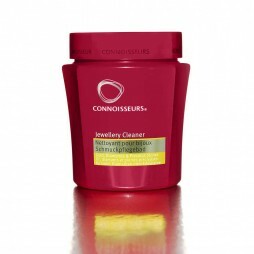 In step 1, gently rub your jewellery with the UltraSoft lighter inner cloth to remove dirt and tarnish. 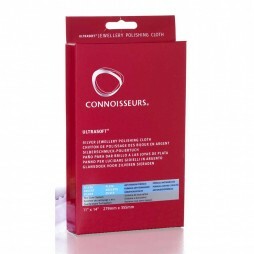 Our exclusive anti-tarnish shield is applied. 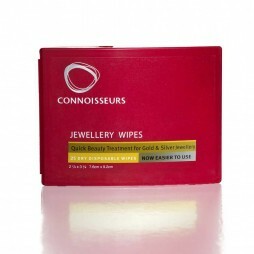 Step 2's outer UltraSoft darker cloth buffs and polishes your jewellery or watch to bring gold or platinum to a high luster. - 100% cotton fiber, a renewable resource.